Pamper your pet with a new FurHaven Deluxe Chaise Lounge! A luxuriously soft plush sleep surface is complemented by velvet covered bolsters and gusset. Ultra plush faux fur provides a snuggly soft sleep surface and trims the edges of the bolster for a chic flair. The L-shaped bolsters support your pets back and hips, providing additional support. The L-shape also provides the perfect nook for pets that like to nest into comfort. The two raised, rounded bolster ends allow your pet to lay their paws or neck on the pillowed edge, helping to align the neck and spine. An orthopedic foam base features egg-crate foam that alleviates aching joints and provides soothing comfort to pressure points. Available in five convenient sizes and three rich color options so your pet can sprawl and lounge the day in maximum comfort and style. Diverse sizing offers the purrfect cat bed or dog bed for your home! My old dog went right to it, plopped down, and said "This is mine!" He loves it! And, what a great price! 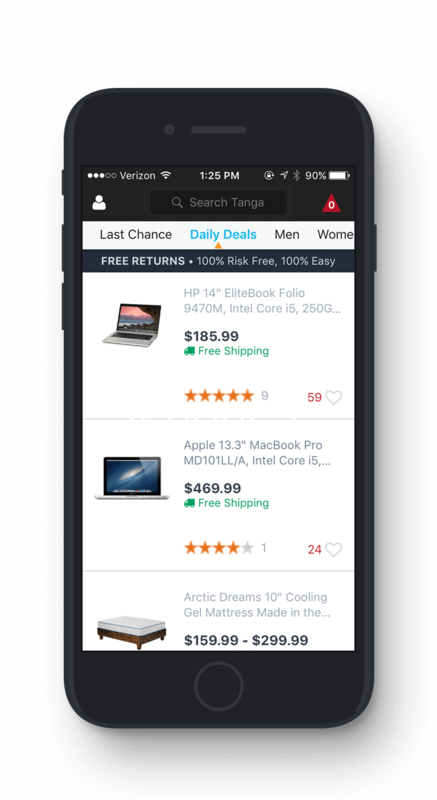 I appreciate Tanga's sale items, they are a true bargain! Tanga made old Jack a happy dog! Harley loves it! Great deal!!! Bought this for my german shepherd who has severe hip dysplasia hoping that it would bring her comfort but before she could even try it our German Shorthaired Pointer claimed it!!! He absolutely loves it and will not give her an opportunity to stay on it long enough to enjoy :-) the raised sides are perfect for back support for the pointer!